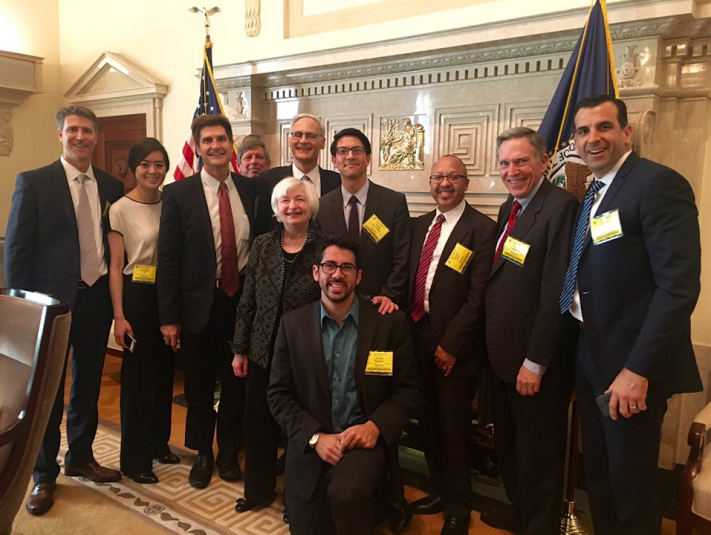 Last week, Stroll Health CEO Jordan Epstein discussed the state of healthcare and healthcare technology with Federal Reserve Chair Janet Yellen. Topics ranged from the $3.2 trillion national annual health care expense, how Stroll and similar tools can help curb that trend, and how regulation reform on lead generation fees and health insurance purchasing can encourage faster innovation. Mr. Epstein met with numerous members from Congress and the Administration as a representative for the Silicon Valley Leadership Group, along with San Jose Mayor Sam Liccardo, Silicon Valley Bank CEO Greg Becker, and others.